The container operator CMA CGM increases capacity in Asia-North Europe routes, launching two new loops. The French container line will increase its capacity on the important trade route from 1 million TEU to 1.3 million TEU and the vessels engaged into the loops from 87 to 106. With such number of ships the port calls per week will increase from 96 to 118 according to the schedule of the operator. The new trade routes will increase the capacity of the route, but also will improve the speed of transportation and the quality of the service. The shipping operator plans to modernize the fleet on the route with more effective and environmental container ships, which will compete the main rival – 2M Alliance and MOL, on the market. 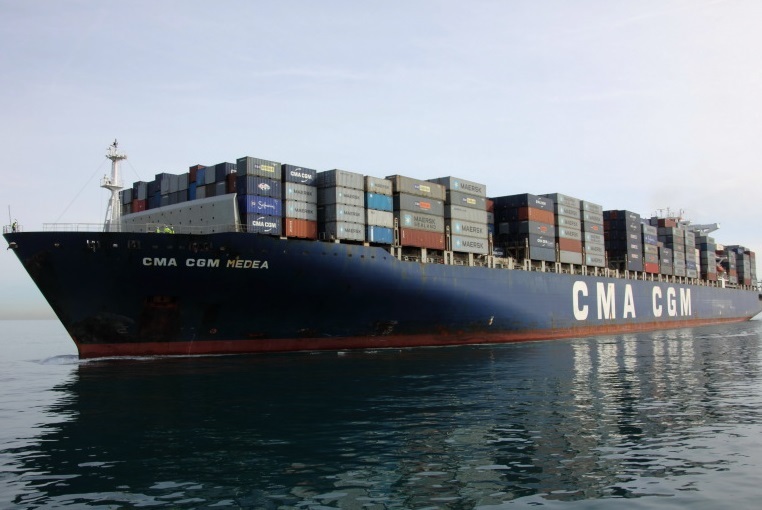 CMA CGM opens two new loops in their Asia-North Europe route. The first loop is called FAL 10 service and will be in direction: Hamburg (Germany) – Rotterdam (Netherlands) – Antwerp (Belgium) – Felixstowe (UK) – Singapore (Singapore) – Nansha (China) – Yantian (China) – Kaohsiung (Taiwan). On the second new loop, which is called FAL 13 the ships will call at the following ports: Hamburg (Germany) – Rotterdam (Netherlands) – Le Havre (France) – Algeciras (Spain) – Singapore (Singapore) – Yantian (China) – Qingdao (China) – Kwangyang (South Korea) – Busan (South Korea).